Hillary Rodham Clinton was the first First Lady to have her own office in the West Wing of the White House and the only First Lady ever to be subpoenaed to testify before a grand jury. Upon leaving the White House, she was elected as the first female Senator for New York, then served as one of America’s most popular Secretaries of State. Will she now become the first female President of the United States? Hillary is poised to decide whether she will launch a fresh attempt to take the highest office in the world and make history in doing so. But what is Hillary really like? Will she run? Can she win? What can the world expect from Hillary if she does get back to the White House? What sort of President would she be? 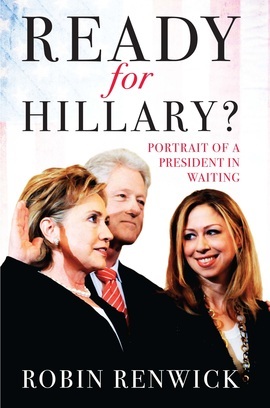 Robin Renwick, who was the British ambassador in Washington when the Clintons arrived in the White House, seeks to answer these questions and more in this vivid portrait of one of the most polarising and central figures in recent US political history.